Avoid a bone graft procedure with All On 4 Plus. 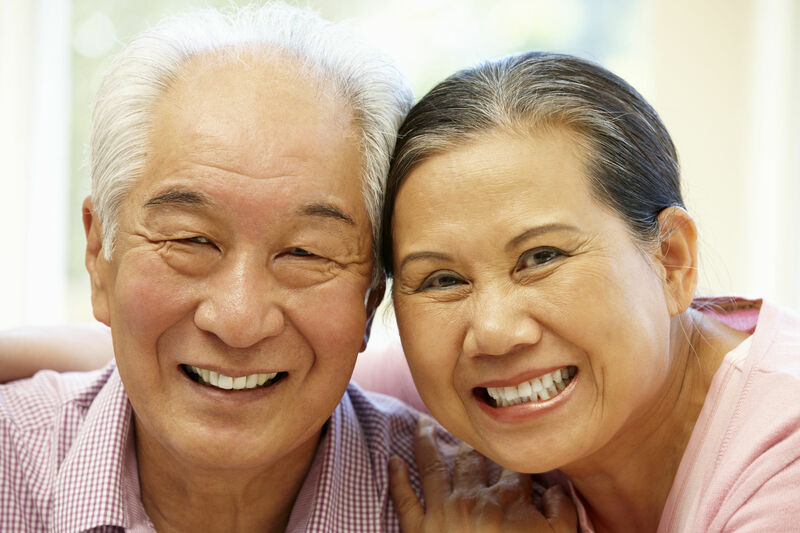 Alternatives to bone grafting are available at All On 4 Clinic Perth. If your situation is one where there is not enough bone for implants, you may have heard that a bone grafting procedure would be needed, to prepare your jaw for future implants. Although we offer multiple methods of bone grafting and perform this on many cases of single or several missing teeth needing a secure bone foundation, bone grafting for full sets of teeth can have higher incidence of problems and inconvenience. The All On 4 and All on 4 Plus® methods allow for the use of dental implants even with reduced jaw bone mass, without need for grafting in a majority of cases that need full teeth replacement. Sometimes, if multiple implants and multiple bone grafts are needed, a graft-free full teeth replacement can be preferable for convenience, time and cost. Based on an in-depth assessment and diagnosis, and the use of 3-D imaging, we will give you recommendations for suitable treatment options if you’re looking into full teeth replacement. What is All On 4 / All On 4 Plus? All On 4 is a method of full teeth replacement method using four implants, placed in strategic angled positions, to support your permanent new teeth without any need for bone grafting, even in many cases of advanced bone loss. 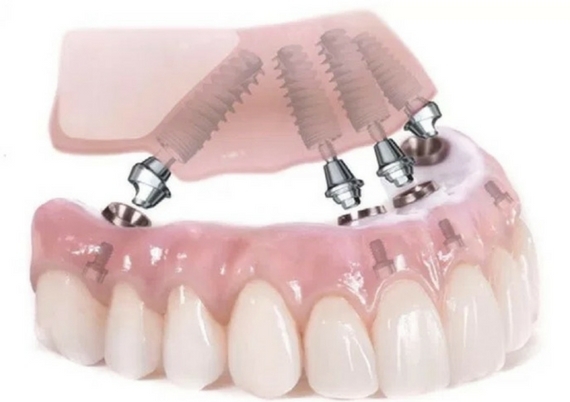 Contrary to popular belief and methods practiced by some dentists purporting to offer All-on-4, proper application of this method involves much more than simply using 4 implants. There are multiple procedural (surgical) and restorative intricacies that go into making this a reliable procedure. All On 4 Plus is the method employed by Australia’s All On 4 Clinic, for which we are the Perth branch, with certain refinements on the renowned procedure for optimal outcomes – sometimes involving additional implants when necessary, and other contingencies to maximise outcomes. This includes our Dr Misagh Habibi’s innovative All On 4 Plus Titanium method, providing maximum strength for immediate implant solutions. In some situations of severe bone loss or large sinuses in the upper jaw (maxilla), where full implant teeth are needed, extensive bone grafting or sinus elevation may be indicated. This may involve up to a year of bone healing, before the bone foundation is strong for implants. Zygomatic implants are an alternative to bone grafting in such cases. Zygomatic implants aim to still allow the attachment of immediate teeth as per our All On 4 Plus Titanium protocol, even in cases of insufficient bone in the upper jaw. Zygomatic (or Zygoma) implants are specially designed long implants that bypass the area of bone deficiency in the upper jaw, and embed into the base of the zygoma (cheek bone), which provides a strong attachment point for reliable implant reconstruction. Some cases may have enough bone for say, 3 of the 4 dental implants required for standard All On 4, but then require one zygomatic implant as the fourth implant. Other cases may require a zygomatic dental implant on both sides, or even 4 zygomatic implants (quad zygoma), depending on the level of bone deficiency around the upper jaw. Surprising to many, in most cases zygomatic implants do not cause more post-operative discomfort than standard implants, although some additional swelling for a few days may be encountered. All On 4 solutions at our clinic are performed using sleep dentistry or IV Sedation dentistry. This means that analgesic (pain-killer) and sedative (calming) and anaesthetic (sleeping) medication is used to increase your comfort during a procedure. As you wake up after your procedure, you have no or very little memories of the process. If you feel anxious about spending time in the dentist chair, or have had unpleasant experiences in the past, you often may have ended up with advanced treatment needs such as the procedures we offer. IV Sedation takes away the stress and the fears that you may associate with your procedure, and allows you to wake up relaxed and in comfort. At All On 4 Clinic Perth director Dr Misagh Habibi has a particular interest in complex implantology and full mouth rehabilitation. He performs all All On 4 and other implant procedures in our state-of-the-art clinic in Subiaco. If you were looking to explore alternatives to bone grafting, call our friendly receptionists and book your consultation.